New study finds that water runs down hill! Who knew? 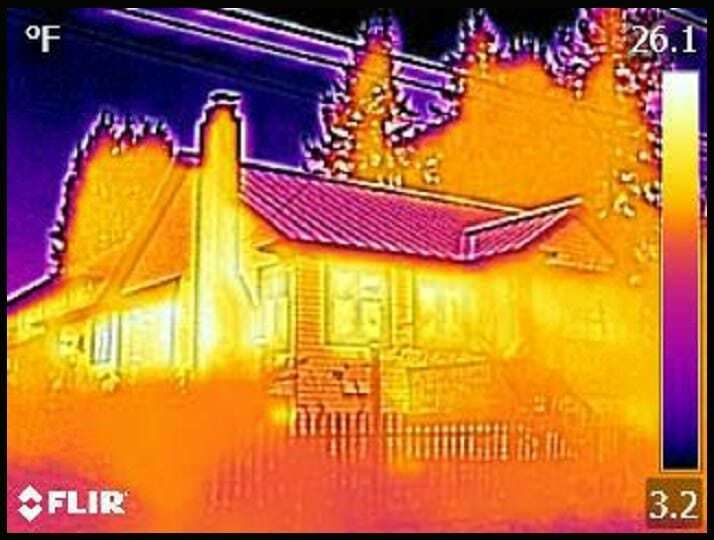 - Charles Buell Inspections Inc.
You are here: Home / Featured / New study finds that water runs down hill! Who knew? New study finds that water runs down hill! Who knew? Today is a day that will live in infamy as the discovery that water runs down hill was announced by a previously unknown kindergarten teacher in Seattle, Washington (obviously not the other Washington). The teacher’s class of kindergartners, using standard garden hoses, Odwalla fruit juices and hamster slides, showed beyond a reasonable doubt that water does in fact run down hill. Before this day, this fact was obviously not known. Because of how recent this discovery is, it is projected that there are still thousands of builders constructing homes unaware of the new information. Many builders have expressed surprise at the way gravity affects water. Some even reacted with denial and accusations. Many were heard to say that the kindergartners, “don’t know what they are talking about—obviously!” Others remarked at how this information will be costly in the building of new homes from here on out. Others called for further studies prior to jumping to rash conclusions. 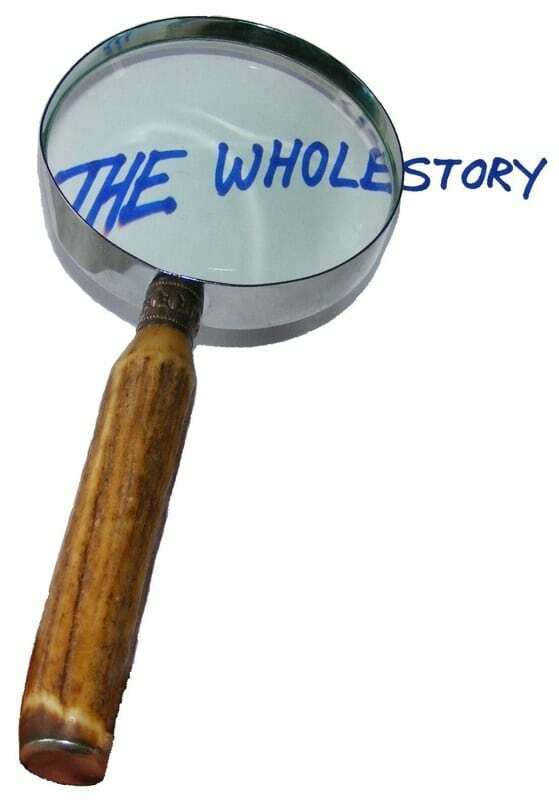 Still others argued that government meddling in a free economy was likely involved. After all why shouldn’t someone be able to build a house any way they want regardless of what water does or does not do? 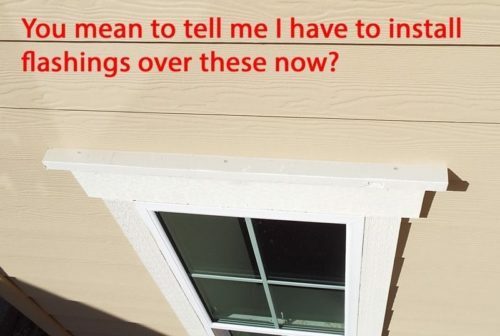 The very notion that flashings would now be required over any trim boards that are nailed on top of siding, above windows and doors, seemed just preposterous. 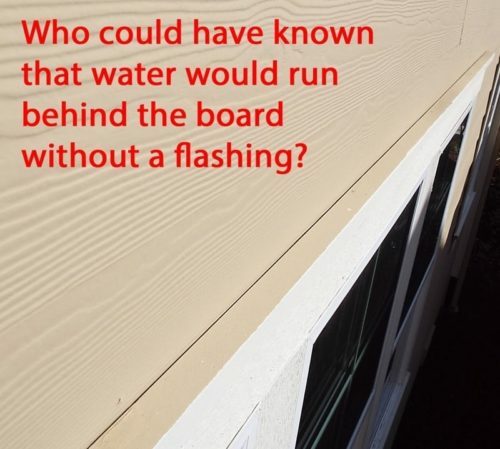 But the fact that water was now known to be affected by gravity seemed difficult to reconcile with the industry standard of not installing any flashings at all. Is it any wonder that builders everywhere are crying foul? Some builders, when shown pictures of the problem, merely argued for more caulk–although that did not seem to impress the kindergartners very much. It remains to be seen how this new information will affect home construction. Many experts belief that the information will be ignored and standard building practice will not be affected at all. This is the funniest comment on EVERY advancement in building codes and building practices I have read in a long time. Thanks for the laugh this morning!